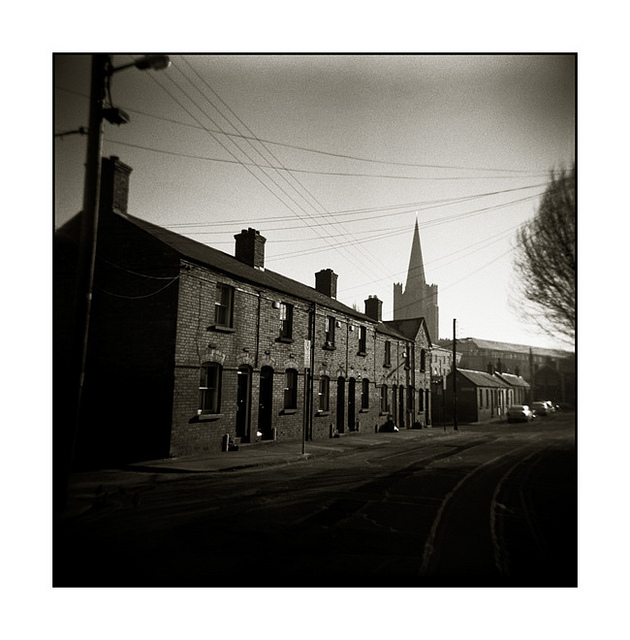 Tag Archives: Dublin Artisan’s Dwelling Co. 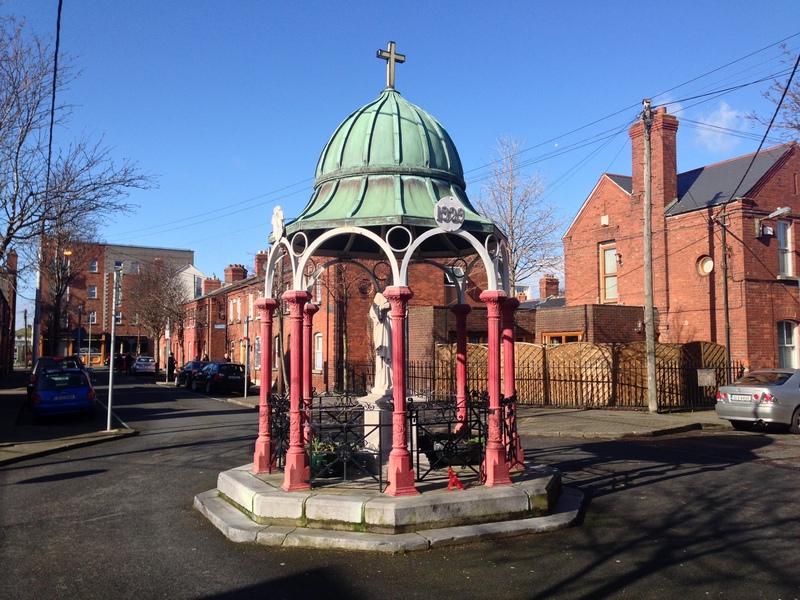 The very pretty Reginald Street and Gray Street and their associated squares were built in 1880-1882 by the Dublin Artisan’s Dwelling Co. The company was established in 1876 and was chaired by one of the great Victorian philanthropists, Sir Edward Cecil Guinness. 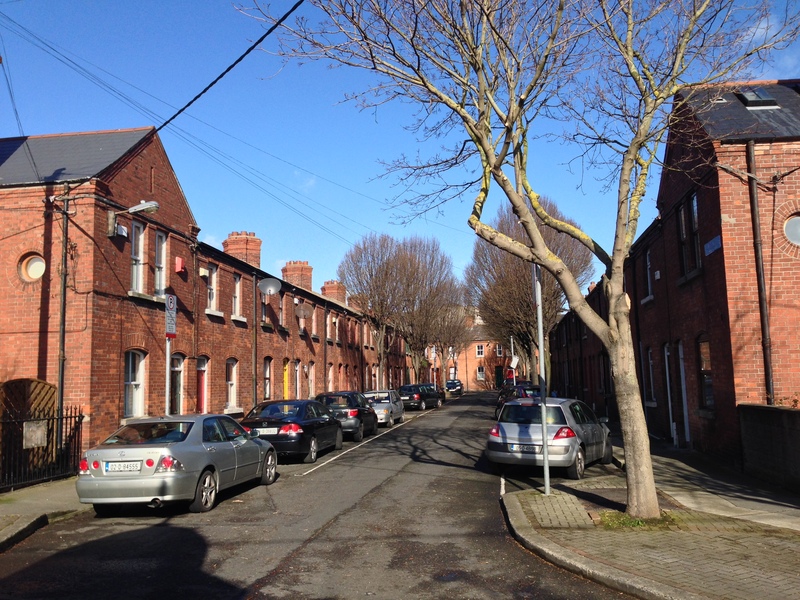 It went on to build over 3,600 dwellings around Dublin, which were intended to house the working class of Dublin. Initially, rental costs meant that they were only feasible for skilled labourers, although a (cursory) analysis of the 1911 Census shows that the majority employer of the residents was the brewing industry, so Guinness’ plan to house his workers appears to have worked out well. The small squares off the Reginald Street/Gray Street result in the whole forming a cruciform pattern. Houses in these squares are single storey and likely followed the typical three room plan; front door into the living room with a contained scullery leading out into the rear yard, and two bedrooms off to the side. Despite being a couple of minutes from a very busy Meath Street, the whole area exudes calm. The street names give plenty of notice that this was the Earl of Meath’s Liberty. Reginald Brabazon was the 12th Earl of Meath when the complex was built. 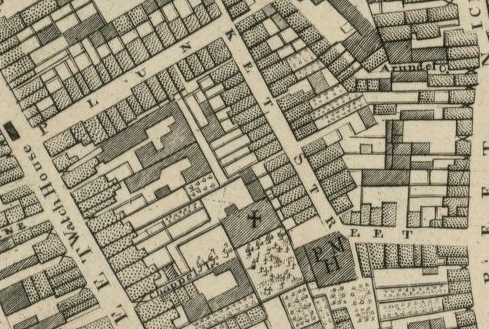 No matter how much the romantic in me wishes that Reginald married a Gray, the street he intersects, this is not the case, and Gray Street is more likely to be named after Sir John Gray, the man responsible for bringing clean water supply to Dublin from the Vartry reservoir in the Wicklow mountains. Rather appropriately, the intersection of Reginald and Gray featured a fountain. This was replaced with a statue of the Sacred Heart in 1929, ostensibly to commemorate the centenary of Emancipation, although it can’t just be a coincidence that this is also the year of the death of Reginald, an arch-Unionist and Imperialist. Divine intervention couldn’t save the statue from collision with a lorry, and the current version was that restored to mark the visit of Pope John Paul II in 1975. More on the statue and the pope’s visit, including some attractive photos, are on the Built Dublin Site.